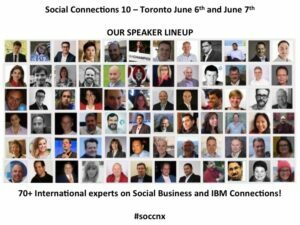 Still undecided about attending Social Connections 10 in Toronto on Monday June 6th and Tuesday June 7th? If you are then check out some of the great sessions by speakers from across the globe! Our agenda is now publish on our website Link and in our mobile app (where you can create you own personal schedule for the event! (Find out more about our mobile app). At finally, we have over 70 speakers at the event. These people are from all parts of the world and have some great content to share with you! So what are you waiting for – Register now!